Emmerson Mnangagwa was declared the winner in Zimbabwe’s first presidential election since Robert Mugabe was deposed last fall after four decades in power. 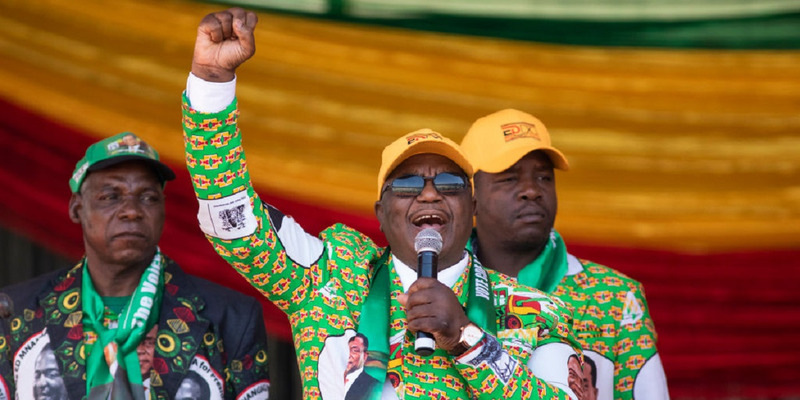 On Wednesday, Zimbabwe’s ruling ZANU-PF party won the majority of seats in parliament, though candidates needed more than 50% of the vote in order to secure the presidency. Opposition leaders have rejected the results. The election announcement follows bloody clashes between police and protesters this week, who accused the nation’s ruling party of rigging the election. Emmerson Mnangagwa was officially declared the winner in Zimbabwe’s first presidential election since Robert Mugabe was deposed last fall after four decades in power. The country’s electoral commission announced the results early Friday morning local time. With votes from all of the nation’s 10 provinces tallied, ZANU-PF leader Mnangagwa gained 2.46 million votes (50.8%) against his opponent Nelson Chamisa’s 2.15 million (44.3%) votes. Mnangagwa wrote a thank-you note to his supporters on Twitter. On Wednesday, Zimbabwe’s ruling ZANU-PF party won the majority of seats in parliament after sweeping the election, though candidates needed more than 50% of the vote in order to secure a victory. ZANU-PF has ruled the African nation since its independence in 1980, and walked away with 145 parliamentary seats. Opposition Movement for Democratic Change (MDC), led by Nelson Chamisa, grabbed 63 seats, along with two other small factions gaining one seat each. Following the vote count announcement, authorities removed opposition officials from the electoral stage after they rejected the results. Chairman of MDC Chamisa said the vote count could not be verified. The election announcement follows bloody clashes between police and protesters this week, who accused the nation’s ruling party of rigging the election. At least six people died as soldiers were brought in to disperse the riots. He later wrote in a series of tweets that he was communicating with the opposition party to diffuse the situation. “This land is home to all of us, and we will sink or swim together,” he wrote. This year’s election is the first in nearly four decades in which the former president Robert Mugabe was not a candidate. The 75-year-old Mnangagwa took over for Mugabe after the military seized control of the capital Harare and state media. Mnangagwa, who previously served as Mugabe’s vice president, was initially fired by the former leader and fled the country claiming threats on his life. 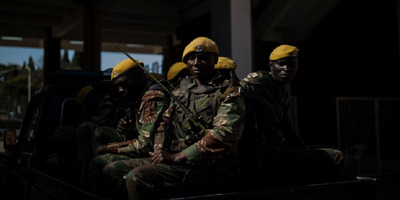 The move triggered military intervention and led to Mugabe’s uneasy resignation. According to the Associated Press, the streets of Harare remained quiet following the vote announcement, as military personnel continued to patrol the city center.